Find free classifieds for Furniture for sale for sale or to buy in West Bengal. FREEADS in India offers you a platform to post free advertisements or classifieds for Furniture for sale, West Bengal. FREEADS in India helps you search, find, buy, sell, rent or hire in various categories like apartments, goods for sale, local services, cars , jobs and many more in West Bengal. Shown below are ads available in Furniture for sale, West Bengal. You can use search box above to refine your search. 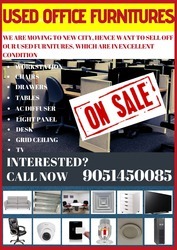 Used office furnitures in excellent condition is for sale which includes workstations, modular cabinets, chairs, camera, ceiling speakers, electrical panels, electrical items, UPS and its batteries, AC and diffusers, lights, grid ceiling, sofa sets, jaquar bathroom fittings(WC, Basin, Showerheads, body jets), glass fittings etc. a good wooden window with steel grill attached with it is for sale contact immediately...at 8276890923..or email genius.d.adi@gmail.com. 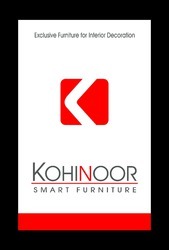 KOHINOOR SMART FURNITURE, at Barasat , Kolkata. Let’s make your home smart like your smart phone. Design your house with customized designing furnitures, all fascinated branded products manufactured by KOHINOOR SMART FURNITURE. All products are made by best quality materials. Our products created a trendy atmosphere in your life style. Our company provides easy EMI to all products with reasonable price. If you think that choosing the best furniture for your rooms is challenging and time-consuming, it’s time to approach a leading living and dining furniture manufacturer in India. They assess the type of furniture customers are looking for and accordingly enhance their stock. Approach a renowned furniture manufacturer like Sristi Furniture and enhancing the visual appeal of your living and dining room will become easier. Visit Sristi Furniture today if you are on the lookout for a leading bed room furniture Manufacturer in India whom you can trust. Our strong industry presence makes us the largest source of furniture and accessories that are vital for enhancing the appeal of your bedroom. We strive to let your home be a reflection of your taste and personality. With so many reliable designer furniture manufacturers in India, approaching one will make it easier for you to give your rooms a makeover. Our lifestyle is changing and so we too need to upgrade the traditional furniture with something more modern and minimalist design. Invest in the right furniture and you can stay assured that they will last for years to come. Wish to decorate your office before the next financial year starts? You can take the right step now and reach the best firm for office interior decoration. For More Details, Visit -http://skodrmass.com. Look for the references from your friends and social connections that can bring you the top interior designers Kolkata. You can get the best recommendations quite easily. For More Details, Visit - http://www.interiordesignkolkata.in. Furnest is one of the Best Furniture Showroom In Kolkata. At Furnest, we pride ourselves in offering a personal service. Our team of experienced sales advisers can help select the best option for your home, whether you simply want a new lamp to brighten up your bedroom or a whole new suite. We also offer a free measurement service if you need a little help deciding what will fit in to your home. The concept of Modular Office Furniture has been highly popularized by Duroplast Furniture Systems Pvt. Ltd. Duroplast is an entity of the Duroplast Group. The concept of modular Office furniture has become very popular in recent times. 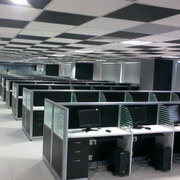 The company is located in one of the prime business hubs of Kolkata. EXCLUSIVE STEEL DOORS : high quality steel door of each weighing minimum 65 kg with frame with wooden finish and looks. There are variety of products available so for more detail plz contacts us or else.. Feature : Push Back , without push back, and luxury chair, Cup holder or without cup holder, Warranty : We are the manufacture for chairs providing 5 year warranty For more detail pls contact us..!!. DECOR YOUR HOME WITH UNBEATABLE FURNISHING RANGE.AVAILABLE ON EMI. you can Decor your home with your favourite furniture. EMI facility also available..
VENTAIR IS A LEADING MANUFACTURER & DESIGNER OF MODULAR INDIAN & IMPORTED MODULAR KITCHEN ACCESSORIES IN KOLKATA AND OTHER PARTS OF INDIA. WE HAVE QUALIFIED TEAM OF MODULAR KITCHEN DESIGNERS AND SUPPORT SYSTEM TO MAKE YOUR KITCHEN LOVELY WITHIN YOUR BUDGET..
ventair is a leading modular kitchen manufacturer in india. To make your kitchen lovely within your budget-we have qualified team of modular kitchen designers and support system for quick deliver & installation. Your kitchen’s efficiency depends on how it is laid out rather than the space you have..
Ventair is one of the leading companies in modular indian & imported kitchen decor accessories in kolkata and other parts of india. A proper kitchen planning efficiency depends on how it is laid out rather than the space you have. We have qualified team of modular kitchen designers and support system for quick deliver & installation to give modern look to your kitchen. 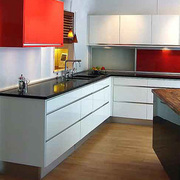 We are manufacturer, supplier, exporter of modular kitchens, modular wooden kitchens, modern technology kitchens, designer kitchens, modern kitchens, wooden kitchens, wooden kitchen interior, arnica kitchens by Ventairindia, Kolkata, India..
Ventair is a leading manufacturer & designer of modular indian & imported modular kitchen cabinet in kolkata and other parts of india. We have qualified team of modular kitchen designers and support system to make your kitchen lovely within your budget..
Make your office aesthetic and functional with the best designer furniture. 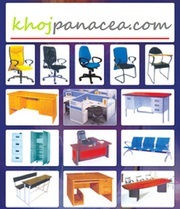 Khojpanacea, providing the best contact details of all furniture dealers. Come to us today!! Website:http://khojpanacea.com/Kolkata/Furniture/Furniture-Dealers/SBCT83 Address: 2/8d sahapur colony, new alipore, kolkata-53, opposite lane of hsbc bank pin-700053 Contact details: Contact Person: AanshJaiswal EmailId: khojpanacea1@gmail. The biggest range of new and used office furniture on the coast at the very best price. Khojpanacea, providing the best contact details of all furniture hiring services. Come to us today!! Website:http://khojpanacea.com/Kolkata/Furniture/Furniture-on-Hire/SBCT84 Address: 2/8d sahapur colony, new alipore, kolkata-53, opposite lane of hsbc bank pin-700053 Contact details: Contact Person: AanshJaiswal EmailId: khojpanacea1@gmail. Have you seen our latest catalogue on furnitures to see whats on sale?? Log on to Khojpanacea today and have the best contact details of all furniture dealers. Website:http://khojpanacea.com/Kolkata/Furniture/Furniture-Dealers/SBCT83 Address: 2/8d Sahapur Colony, New Alipore , Kolkata-53, Opposite Lane Of HSBC Bank Pin- 700053 Contact Details: Contact Person: AanshJaiswal EmailId: khojpanacea1@gmail. To avail light weight, durable, stackable and maintanance free furniture, contact Khojpanacea today. We are providing the best furniture dealers contact details. Just make a call and we deliver anywhere anytime. Address: 2/8d Sahapur Colony, New Alipore , Kolkata-53, Opposite Lane Of HSBC Bank Pin- 700053 Contact Details: Contact Person: AanshJaiswal EmailId: khojpanacea1@gmail. Start your living room furniture plan with the best seat in the room and work from there.... Khojpanacea, providing the best furniture dealers contacts. So come to us today. Address: 2/8d Sahapur Colony, New Alipore , Kolkata-53, Opposite Lane Of HSBC Bank Pin- 700053 Contact Details: Contact Person: AanshJaiswal EmailId: khojpanacea1@gmail. Furniture Dealers in Kolkata Avail the best furnitures in the city. You can also hire them. 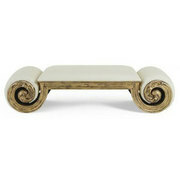 Click the link below and choose your favorite home accessories today! NAME : Randhir Jaiswal Address : 2/8d Sahapur Colony, New Alipur , Kolkata-53, Opposit Lane of HSBC Bank Land phone - 033-65106511 Mobile - 9038004614 Website :http://www. India ads for Furniture for sale, West Bengal, Furniture for sale free ads West Bengal, Furniture for sale for sale West Bengal, Furniture for sale to buy in West Bengal. This page is a classified ads listing for Furniture for sale West Bengal. This listing includes classifieds for sale and to buy in West Bengal. If you posted an advertisement on Furniture for sale, West Bengal before please use Edit my ads button to change or cancel your ad. Furniture for sale West Bengal ads West Bengal, Furniture for sale classifieds West Bengal, Furniture for sale free ads West Bengal, ads for sale West Bengal, ads to buy West Bengal, FREEADS in India. Find here ads for sale, to buy and rent in West Bengal. Goods for sale in West Bengal, vehicles for sale in West Bengal, West Bengal real estate for sale, West Bengal property for sale, property for rent in West Bengal, business ads in West Bengal, West Bengal business classifieds, services in West Bengal, West Bengal services ads, jobs in West Bengal, pets for sale in West Bengal, West Bengal dating, West Bengal cars for sale.